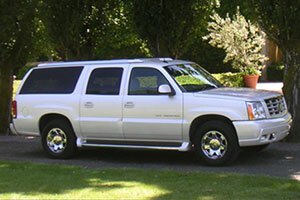 Your Driver In Napa is here to serve you and your friends or associates, whatever the occasion. Whether you want to experience a wine tour or simply go out with friends or family, I'm your driver. You can also request transport to nearby locations and airports. 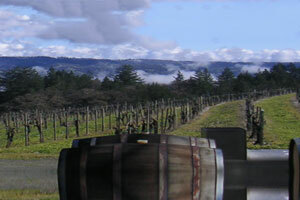 Many people who visit the Napa Valley are travelers and tourists who are looking for vacation property to rent. I have access to beautiful places available for rent in the area, and I can also help those looking to rent or build vacation homes in certain areas of Mexico. Get in touch with us to schedule your ideal tour. I'm Larry Luttrell, a tour guide who is also known as Your Driver In Napa. As someone who has lived in Napa, California, for more than 35 years, I know where the best vacation property can be found, and I provide visitors with wine tours to get familiar with Napa and Sonoma counties. Since 2003, I've guided folks through Napa Valley, Dry Creek, the Russian River Valley, and more. Even if you are dining out with that special someone or need transportation to one of the nearby airports, I can likely get you there. Times can be customized to fit your needs, and we can follow your itinerary or provide our own ideas. When you contact Your Driver In Napa, you'll speak with me, the owner, almost every time. I have other wonderful drivers in Napa as well, who will give you the same excellent service if I'm out of town. Thank you for your interest. Please reach out to me, Larry Luttrell, with questions or comments using the information below. I look forward to hearing from you. For the quickest response please e-mail me!